Print clear receipts every time with our fantastic range of PDQ rolls that will help keep your business running smoothly. All rolls are 57mm wide and use high quality thermal paper to provide the sharpest possible printing. The standard sized rolls are accepted in a wide range of PDQ machines from manufacturers including IBM, Ingenico, Epson and many more. All our PDQ rolls use high quality heat sensitive paper to provide the best possible printing at a competitive price point. Whether you run a small business or a thriving retail company we can supply you with a great range of terminal rolls for your PDQ machines and till rolls for your cash registers. View our full collection below and order online today for great prices guaranteed. 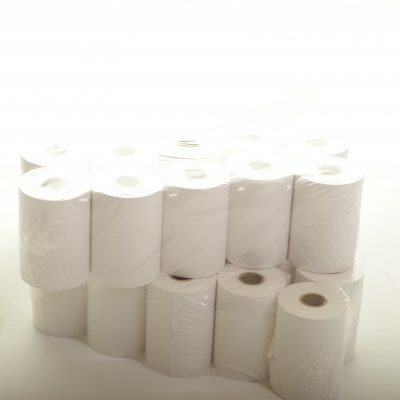 Our PDQ machine rolls are available in boxes of 20 with bulk discounts available when you buy more. Replenish your supplies and save money today when you use Till Rolls Online for all your PDQ consumable needs. View our full collection below or if you need help picking the right terminal roll for your PDQ machine feel free to give us a call on 0161 327 0108 and we’ll be happy to help.